"It was cold and stormy night. Bun could feel the M*nd*y lurking in the dark, cold soaking the house." Cold soaking the homins too, stumbling in the dark and cold to the tar pits..
Just what I was thinking, RG--if we have our creature comforts, we can withstand 'most anything. 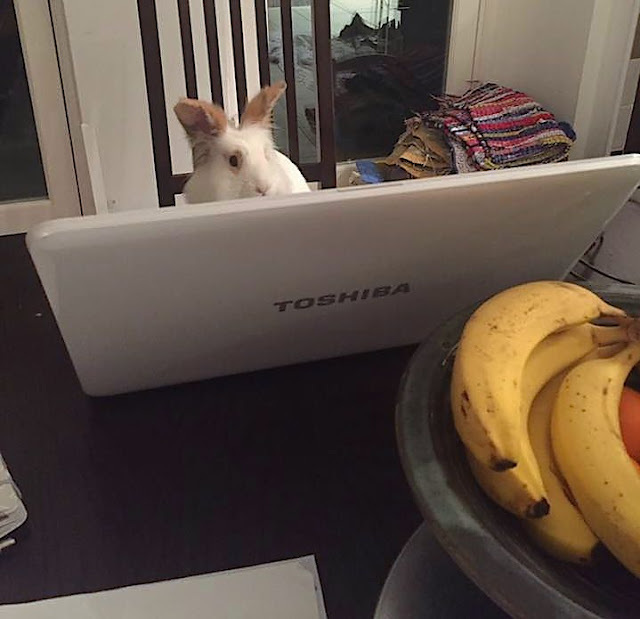 What a clever typing rabbit.